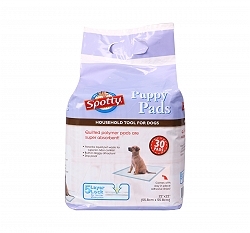 Spotty is one of the most innovative dog products companies. Spotty specializes in developing innovative and unique dog training products that aid you while training your pooches. Spotty understands that having a new pup in the house can be challenging especially when it comes to training them. Pet experts and dog behaviorists have put in their inputs to help design products that are suitable for every household. With a wide repertoire of products under their name, pet parents can now choose the best products to suit the training & behavioral needs of their pets. The products are innovative and meet the needs of all age groups. Each product is easy to use and promotes hygiene and care.